The Ponemon Institute has presented the results of it’s study the Cost of Phishing and Value of Employee Training sponsored by Wombat Security. The purpose of this research is to understand how training can reduce the financial consequences of phishing in the workplace. The research reveals the majority of costs caused by successful phishing attacks are the result of the loss of employee productivity. Based on the analysis described later in this report, Ponemon extrapolate an average improvement of 64% from six proof of concept training projects. 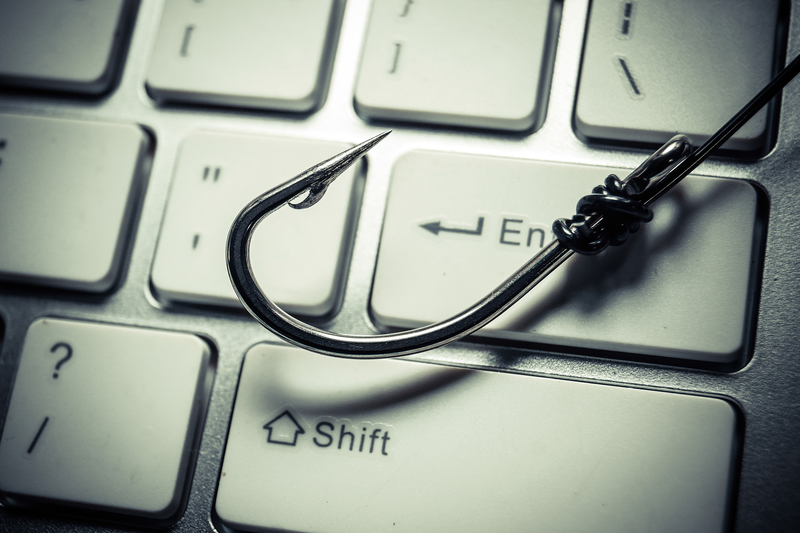 This improvement represents the change in employees who fell prey to phishing scams in the workplace before and after training. As a result of effective training provided by Wombat, Ponemon estimate a cost savings of $1.8 million or $188.4 per employee/user. If companies paid Wombat’s standard fee of $3.69 per user for a program for up to 10,000 users, Ponemon determine a very substantial net benefit of $184.7 per user, for a remarkable one-year rate of return at 50X. To determine the cost structure of phishing, Ponemon surveyed 377 IT and IT security practitioners in organizations in the United States. 39% of respondents are from organizations with 1,000 or more employees who have access to corporate email systems. Phishing scams are costly. Often overlooked is the potential cost to organizations when employees are victimized by phishing scams. Ponemon’s cost analysis includes the cost to contain malware, the cost not contained, loss of productivity, the cost to contain credential compromises and the cost of credential compromises not contained. Based on these costs, the extrapolated total annual cost of phishing for the average-sized organization in Ponemon’s sample totals $3.77 million. Summarized calculus on the cost of phishing. Estimated cost. The average total cost to contain malware annually is $1.9 million. The first step in understanding the overall cost is to analyze the six tasks to contain malware infections. Drawing from the empirical findings of an earlier study, Ponemon were able to derive cost estimates relating to six discrete tasks conducted by companies to contain malware infections in networks, enterprise systems and endpoints. The table below summarizes the annual hours incurred for six tasks by the average-sized organization on an annual basis. The largest tasks incurred to contain malware involve the cleaning and fixing of infected systems and conducting forensic investigations. Documentation and planning represents the smallest tasks in terms of hours spent each year. Six tasks to contain malware infections. Estimated hours per annum. The annual cost to contain malware is based on the hours to resolve the incident. These cost estimates are based on a fully loaded average hourly labor rate for US-based IT security practitioners of $62. As can be seen, the extrapolated total cost to contain malware is $1.89 million. The adjusted cost of malware containment resulting from phishing scams is $208,174 per annum. The final step in determining the cost of malware containment attributable to phishing is to calculate the percentage of malware incidents unleashed by successful phishing scams. Response to the survey question, “What percent of all malware infections is caused by successful phishing scams?” The percentage rate of malware infections caused by phishing scams was based on Ponemon’s independent survey of IT security practitioners. As can be seen, the estimated range is less than 1% to more than 50%. The extrapolated average rate is 11%. Drawing from the above analysis, Ponemon estimate the cost of malware containment as 11% of the previously calculated total cost of $1.9 million. In this section, Ponemon estimate the cost of malware not contained at the device level to be $105.9 million. In other words, this cost occurs because malware evaded traditional defenses such as firewalls, anti-malware software and intrusion prevention systems. In this state Ponemon assume the malware becomes weaponized for attack. Expected cost = Probable maximum loss (PML) x Likelihood of occurrence [over a 12-month period]. Respondents in Ponemon’s survey were asked to estimate the probable maximum loss (PML) resulting from a material data breach (i.e., exfiltration) caused by weaponized malware. Ponemon’s research shows the distribution of maximum losses ranging from less than $10 million to more than $500 million. The extrapolated average PML resulting from data exfiltration is $105.9 million. What is the likelihood of weaponized malware causing a material data breach? In the context of this research, a material data breach involves the loss or theft of more than 1,000 records. Respondents were asked to estimate the likelihood of this occurring. According to the research the probability distribution ranges from less than .1% to more than 5%. The extrapolated average likelihood of occurrence is 1.9 percent over a 12-month period. The cost of business disruption due to phishing is $66.9 million. Respondents were asked to estimate the PML resulting from business disruptions caused by weaponized malware. Business disruptions include denial of services, damage to IT infrastructure and revenue losses. The research shows the distribution of maximum losses ranging from less than $10 million to $500 million. The extrapolated average PML resulting from data exfiltration is $66.9 million. How likely are business disruptions due to weaponized malware? Respondents were asked to estimate the likelihood of material business disruptions caused by weaponized malware. The research shows the probability distribution ranging from less than .1% to more than 5%. The extrapolated average likelihood of occurrence is 1.6% over a 12-month period. The table below shows the expected cost of malware attacks relating to data exfiltration ($2 million) and disruptions to IT and business processes ($1.1 million). The total amount of $3.1 million is adjusted for the 11% of malware attacks originating from phishing scams, which yields an estimated cost of $338,098 per annum. Employees waste an average of 4.16 hours annually due to phishing scams. As previously discussed, the majority of costs (52%) are due to the decline in employee productivity as a result of being phished. In this section, Ponemon estimate the productivity losses associated with phishing scams experienced by employees during the workday. Drawing upon Ponemon’s survey research, Ponemon extrapolated the total hours spent each year by employees/users viewing and possibly responding to phishing emails. The research shows the distribution of time wasted for the average employee (office worker) due to phishing scams. The range of response is less than 1 hour to more than 25 hours per employee each year. What is the cost to respond to a credential compromise? In this section, Ponemon estimate the costs incurred by organizations to contain credential compromises that originated from a successful phishing attack, including the theft of cryptographic keys and certificates. Ponemon’s first step in this analysis is to estimate the total number of compromises expected to occur over the next 12 months. The range of responses includes zero to more than 10 incidents. How likely will a material data breach occur if the credential compromise is not contained? Respondents were asked to estimate the likelihood of a material data breach caused by credential compromise. Ponemon’s research shows the probability distribution ranging from less than .1% to 5%. The extrapolated average likelihood of occurrence is 4% over a 12-month period. In this section, Ponemon estimates the potential cost savings that result from employee education that provides actionable advice and raises awareness about phishing and other related topics. As a starting point to this analysis, Ponemon obtained six proof of concept studies completed for six large companies. These reports provided detailed findings that show the phishing email click rate for employees both before and after training. Ponemon provides the actual improvements experienced by companies, ranging from 26 to 99%, respectively. The average improvement for all six companies is 64%. As a result of Wombat’s training on phishing that includes mock attacks and follow-up with indepth training, Ponemon estimate a high knowledge retention rate. Based on well-known research, training that focuses on actual practices should result in an average retention rate of approximately 75%. Applying this retention rate against the average improvement shown in the six proof of concept studies, Ponemon estimate a net long-term improvement in fighting phishing scams of 47.75%. The figures below provides a simple analysis of potential cost savings accruing to organizations that use an effective training approach to mitigating phishing scams. As shown before, Ponemon estimate a total cost of phishing for an average-sized organization at $3.77 million. Assuming a net improvement of 47.75%, Ponemon estimate a cost savings of $1.80 million or $188.40 per employee/user. At a fee of $3.69 per employee/user, Ponemon determine a very substantial net benefit of $184.71 per user, or a one-year rate of return of 50X.